When it comes to visual communication, it is important to consider all the different aspects and principles in order for a design, image, or layout to become effective and pleasing to the eyes. For artists to easily remember all the design aspects they should take note of, design site DesignMantic made an infographic, The 10 Commandments of Visual Communication, that effectually summarizes the different areas of visual communication, including colors, typography, shapes, hierarchy, lines, iconography, contrast, order, weights, and space. Under each of the 10 commandments are six sub-pointers that serve as simple guidelines for designers. 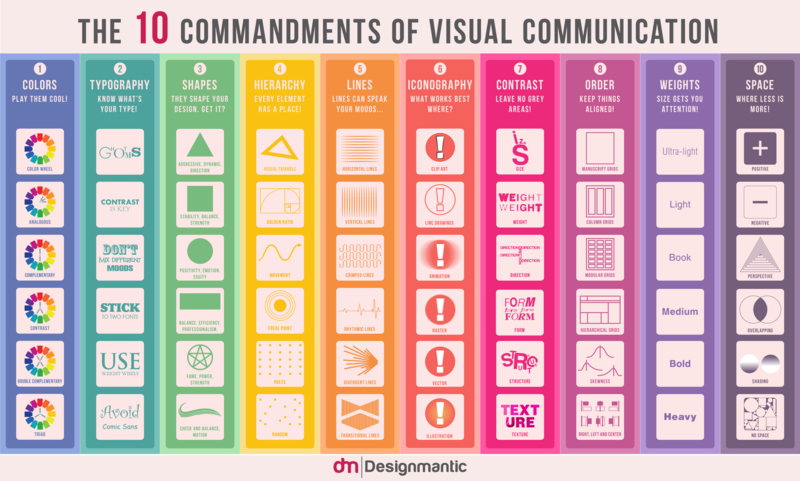 Learn more about The 10 Commandments of Visual Communication below.